Ontario's First Diminished Value Court Case A Victory For Consumers! Or Was It? February 11, 2014 - In the last issue of this eletter, I answered the question "Can I Claim For Diminished Value After My Car Is Repaired?" 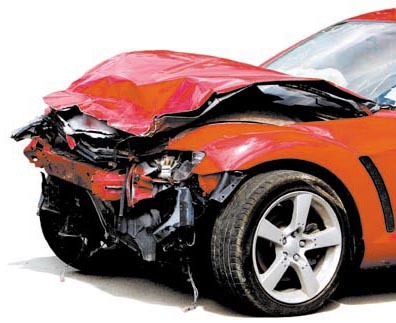 Since then, one notable journalist, Ellen Roseman from the Toronto Star, did her research, which included interviewing me about one of our websites, MyCarIsWorthLess.com, and wrote a great article on the subject entitled "How to get cash after crash from at-fault driver". A few days after the article ran, a woman named Mary called me to ask my opinion on her case. Her beef was not against an insurance company as is normally the case with diminished value but against a car dealer who sold her an SUV that had a previous accident but did not disclose it. We should all pay attention to this because it can easily happen to any one of us. After our discussion, Mary asked me to appear as an expert witness in her court case. I obliged and here is her story. Mary bought a demo SUV in 2010 with 16,756 km from a new car dealer. The vehicle was a manufacturer's executive driven vehicle for approximately 15,434 km before the dealer bought it for sale. Since then, the dealer added about 1,300 km by their representatives. Because she used her vehicle for work as well as being a busy mom carting her kids from place to place, Mary was very adamant that the vehicle should be accident-free. The salesperson assured her that it was. As this was a demo unit being sold by a new car dealer, Mary didn't feel the need to have the salesperson's assurance put in writing nor did she think it needed to be inspected independently. The bill of sale did state that the balance of factory warranty was in place. After driving it for about 2 years, Mary started to notice rust developing on one of the body panels. When she took it in for repair at a different dealership, she was told that the warranty would not apply because the vehicle had been in a previous accident. Mary immediately contacted the original selling dealer to lodge a complaint. After some back and forth, Mary felt that she was not getting much satisfaction and so took the vehicle to a body shop to identify the full scope of the damage. She then started a claim in small claims court against the dealer. The dealer claimed that they knew nothing about the accident and the accident must have happened while in Mary's possession They claimed they received the vehicle from the manufacturer with the necessary quality control documents in order and therefore did not look for damage. Mary claimed that neither she nor her husband had ever been involved in an accident. Further, the vehicle's history report showed no claims, estimates or accident repairs against the vehicle to this day meaning that it would have been fixed "on the sly" without reporting it to the insurance company or police. The judge felt that both sides were genuine in their belief that they did not cause the accident however strongly suggested that the dealership should repair it at their expense, the estimate being $2239. He then set another court date to discuss the diminished value. The dealership obliged and fixed the car. Mary attempted to settle with the dealership for diminished value as well but the dealership was not willing to entertain her request. Mary had a paralegal representing her and I was going to be her expert witness to discuss how much less the vehicle was actually worth when she purchased it. Her position was that had she known the car was previously involved in an accident she would never have bought it. However, since she did buy it and subsequently operated it for two years, she certainly would not have paid the full price of an accident-free vehicle like she was charged. After my testimony, the judge agreed that I was a credible and qualified witness, that Mary had sustained diminished value and that my assessment of the amount was fair and reasonable. He also felt that both sides were innocent and that the most probable answer was that the vehicle had been involved in the accident prior to the dealership receiving it. My assessment of the diminished value was approximately $3500. The judge awarded Mary $2750 in diminished value because there was no evidence that the dealership was guilty of non-disclosure and considering they repaired the vehicle at their cost, he gave them a break. He also awarded her approximately $600 in costs. In total, Mary was awarded roughly $5600 ($2239+$2750+$600) between repair, diminished value and costs. One would think this was a victory for Mary and for all Ontario consumers as the first diminished value case to pass the legal test here, even if this was only a small claims court decision. However, by the time Mary's legal fees were factored in, which the judge decided not to award her, Mary more or less broke even. Based on what I observed during that day-long ordeal, Mary could have easily done this herself with a little coaching and the expert witness testimony. She would have been far further ahead financially and could maybe have reduced the court time to one day. I completely understand that it is an intimidating prospect to take someone to court, especially a larger business with deeper pockets. But how else is one supposed to get any justice? Is the system flawed? Yes, but so far it is the only solution we currently have in place as a democratic society. Mary pushed this issue to the limit out of principle and in the hopes of recovering her costs. We should all thank Mary because due to her efforts, there is now a court case in Ontario where a judge has accepted the notion of diminished value and awarded accordingly. © Automall Network Inc., 2017. Helping car buyers and sellers since 1999. OMVIC Auto Dealer License #: 4989752. Member: Used Car Dealers Association.